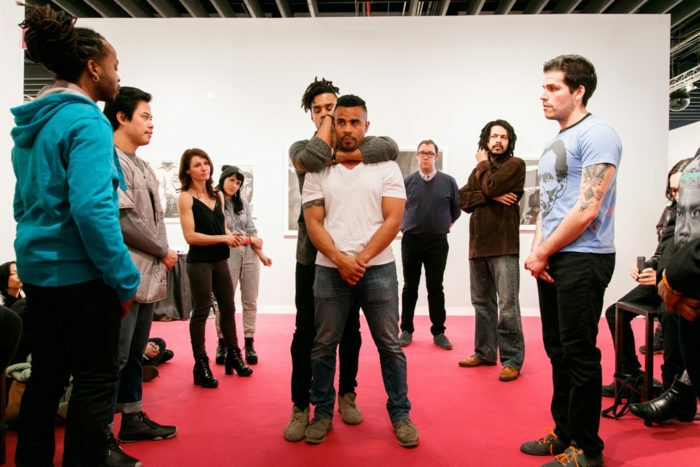 As an A Blade of Grass Fellow, artist Shaun Leonardo will develop a second iteration of Primitive Games, a performance and non-verbal storytelling methodology centered on the communicative possibilities of body language. 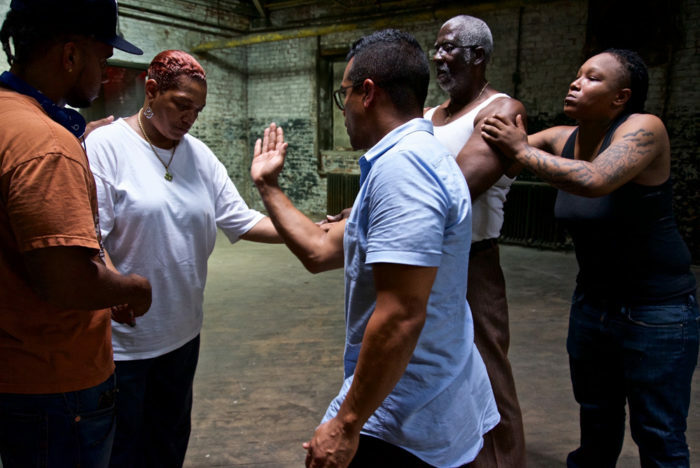 In a series of movement workshops, Leonardo will collaborate with formerly incarcerated individuals, legal advocates, corrections officers, and victims of crime to translate their personal narratives of the justice system and prison into performative gestures, focusing on the ways their bodies activate when experiencing conflict and opposition. 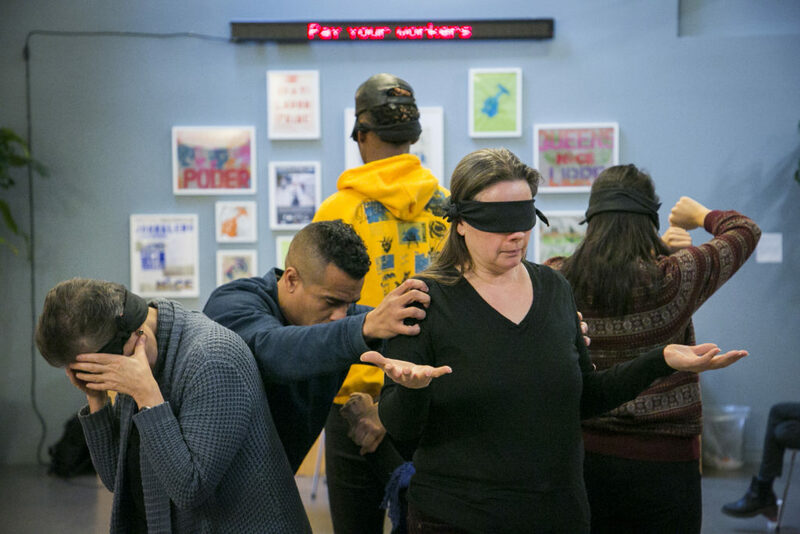 The workshops will culminate in an unscripted public performance where the four groups improvisationally engage each other through movement, creating a platform for non-verbal debate and consensus building. Shaun Leonardo’s multidisciplinary work negotiates societal expectations of manhood, namely definitions surrounding black and brown masculinities, along with its notions of achievement, collective identity, and experience of failure. 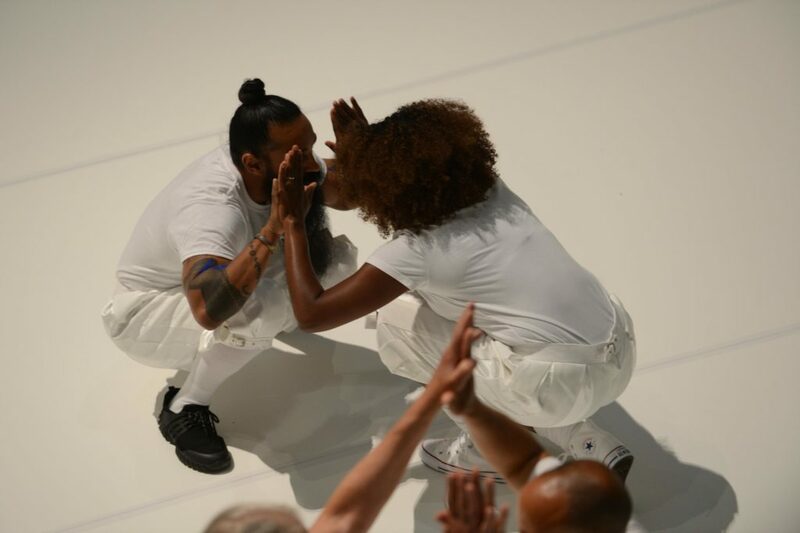 His performance practice, anchored by his work in Assembly—a diversion program for court-involved youth—is participatory in nature and invested in a process of embodiment, promoting the political potential of attention and discomfort as a means to disrupt meaning and shift perspective. Leonardo is a Brooklyn-based artist from Queens, New York. 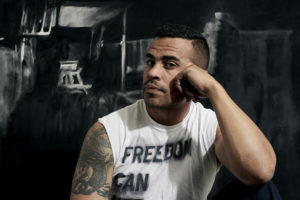 He received his MFA from the San Francisco Art Institute, is a recipient of support from Creative Capital and Guggenheim Social Practice, and was recently profiled in The New York Times. His work has been presented in galleries and institutions nationally and internationally, and featured at The Guggenheim Museum, The High Line, Recess, and VOLTA NY. Leonardo joined Pratt Institute as the School of Art Visiting Fellow in fall 2018 and will remain on campus as the 2019 Project Third artist in residence. Mirror/Echo/Tilt production still. Photo by Melanie Crean. 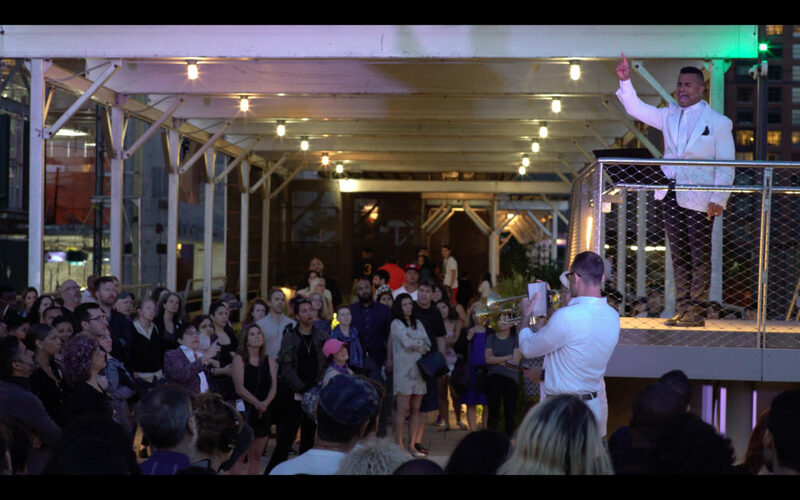 Testimony #1: Interactions with Police, workshop and performance, 1 hour at The Nathan Cummings Foundation for No Longer Empty: Hold These Truths, 12 December 2017. Photo by Whitney Browne. 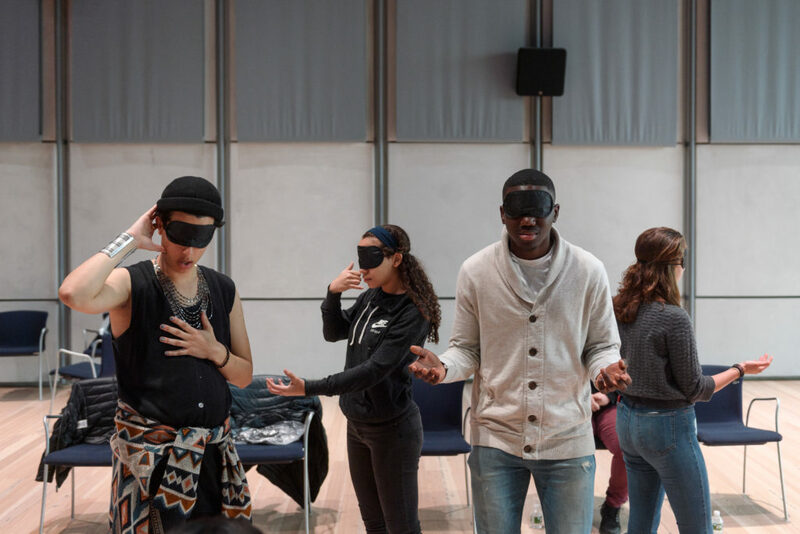 Testimony #2: Experiences of Sterotyping / Silencing, workshop and performance, 1 hour at Whitney Museum for Whitney Teens: Youth Summit, 2 November 2018. Photo by Filip Wolak. The Eulogy, performance, 45 min. at the High Line, New York NY, 15 June 2017. Camera and sound by MU media, Armando Croda, Lindsey Cordero and Ernesto Gonzalez. The Eulogy, performance, 45 min. at BRIC, Brooklyn NY, 23 March 2016. Photo by Angelys Ocana, courtesy of BRIC. I Can’t Breathe, workshop and performance, 30 min. at VOLTA NYC, New York NY, 4 March 2016. Image courtesy David Willems Photography. 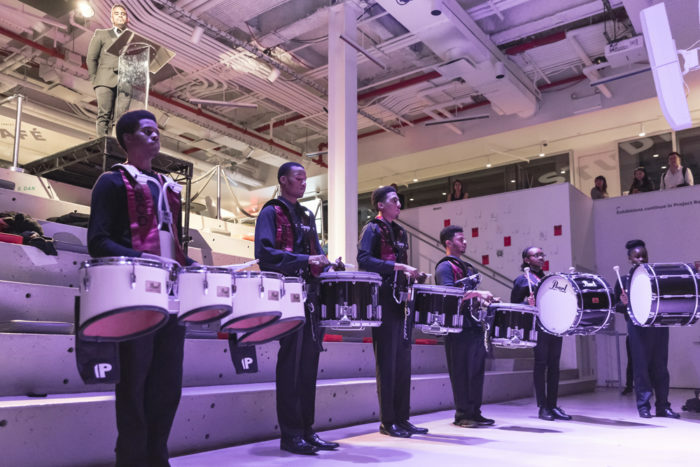 Primitive Games, performance, 1 hour at Guggenheim Museum, New York NY, 21 June 2018. Photo by Paula Court. 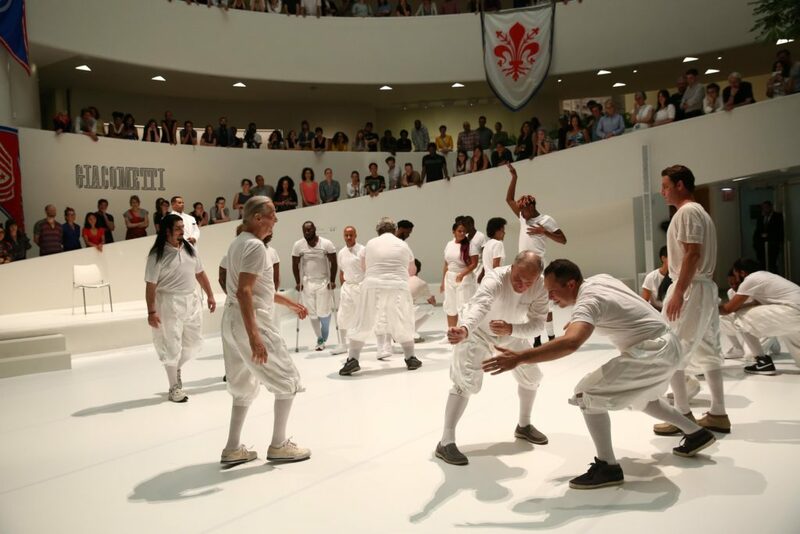 Primitive Games, performance, 1 hour at Guggenheim Museum, New York NY, 21 June 2018. Photo by Enid Alvarez. Can an Artist Shift the Gun Debate?